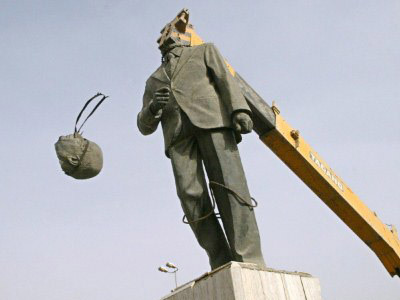 Iraq is demanding that a former British SAS soldier return a bronze chunk of late leader Saddam Hussein’s statue – a buttock, more specifically – that he was allowed to take home back in 2003. 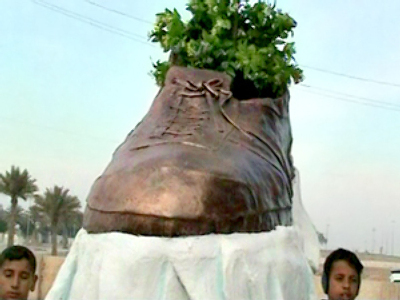 ­Nigel ‘Spud’ Ely was guarding a camera crew in Iraq as it filmed citizens triumphantly knocking down a 12-meter-high statue of the late tyrant erected in Baghdad for his 65th birthday. It seems that no one cared if the former leader went to pieces – or if some particular pieces traveled abroad. So the soldier, boasting a good sense of humor, chose a rather unusual souvenir of his thrilling experience, bringing home a 2ft bronze lump that had once been part of the heavy metal Hussein’s backside. US Marines agreed to allow him to take the ‘trophy' home. But a recent claim by the Iraqi government means the bronze Hussein suddenly needs to get himself back together. It turns out that a part of the metal tyrant’s posterior can be declared a piece of the country’s “cultural antiquity,” The Sun writes, and the government now demands that Ely return it. 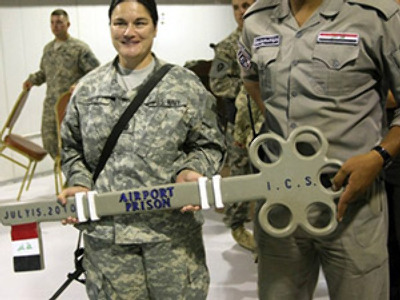 In case he does not, theft charges could await him in Iraq. 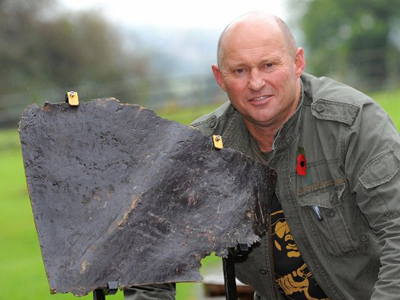 The 52 year-old soldier from Derby has stated that he turned the buttock into an artwork, making him its legal owner. “When I got it, it was just a piece of scrap metal. I am only doing this to raise money for military charities,” Ely said. Last year he tried to auction the piece to raise aid for injured troops, but not many people – save the Iraqi government, of course – considered it a treasure, and the attempt was not a success. After that, he handed the piece over to a museum for safekeeping. “If the Iraqis want to split the proceeds to give some to Iraqi charities, I am happy to listen,” the former SAS soldier noted. Police confirmed they were investigating, as ownership of the bronze lump is in dispute.